Most people know about wills and their basic purpose – to ensure that one’s hard earned assets go to the right beneficiaries when an individual passes away. The most common purpose for a will is to name which individual, or group of individuals, will receive particular property belonging to a person when he or she passes away. Typically, a will is the document that states who should raise a person’s children if something happens to the parent. The will also usually contains at least one alternate in the event the first choice cannot serve. In many cases, a person may not want a child or loved one to receive all of the property that they are inheriting at once. Or a person may want the beneficiary to be able to use the property for a while, and then for it to pass on to someone else. In that situation, an individual may choose to use a trust. A trust holds property on someone else’s behalf. 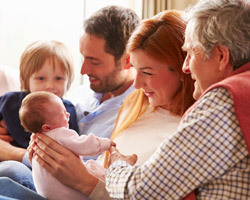 In wills, trusts are commonly established for minor children, so that someone else can manage the children’s money until they reach a certain age when their parents believe they will be able to manage it. Trusts are also commonly used in second marriage situations – a person may want to allow a spouse to have access to certain property while the spouse is living, but for that property to ultimately pass to the decedent’s children. Trusts can help accomplish that goal. Although this is also done in other documents too, a will commonly states whether an individual wants to be buried or cremated, and where the body should be buried or the ashes should be spread. Sometimes, wills contain other information about funeral wishes too like where it should take place and even what readings might be recited. Wills can be great tools for tax planning in order to avoid federal or state estate or inheritance taxes. This can sometimes be accomplished by setting up various trusts. A will usually states who will be the executor of an estate, which is the person who will carry out a deceased individual’s wishes listed in the will. Wills can also name the trustee of any trusts established in a will, which is the person who will be in charge of carrying out the instructions of the trusts.